Like many famous island destinations around the world, Fiji is one destination you’d probably consider visiting just once in your lifetime. Similar to Hawaii and Greece, Fiji is a place that you would go to for special occasions like honeymoons or a romantic getaway with loved ones. The area comprises 332 islands including coral reefs, beaches, and rain forests. After all, the islands of Fiji is not just about idyllic South Pacific landscapes and everything from tumbling tropical waterfalls to white sandy beaches dotted with palm trees. What makes these islands so captivating are the nature-inspired resorts that capture the best of its natural surroundings. 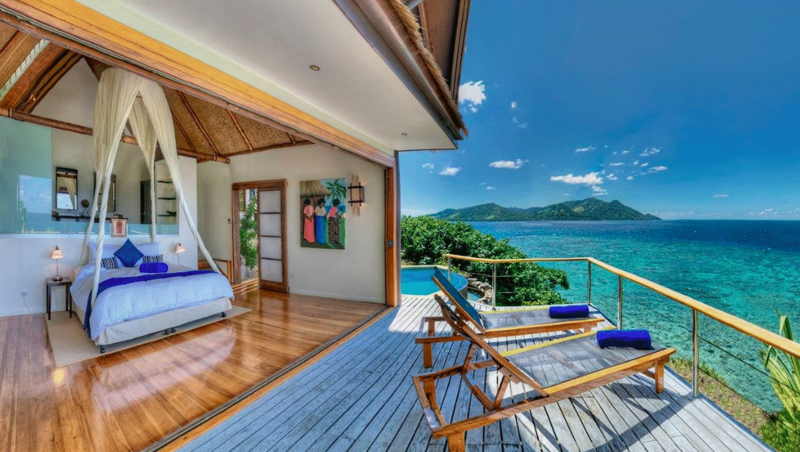 Visitors will find numerous luxury resorts on popular islands like the Mamanucas, Kadavu, Yasawa and Kovo, which is the only one with a non-commercial rustic appeal. 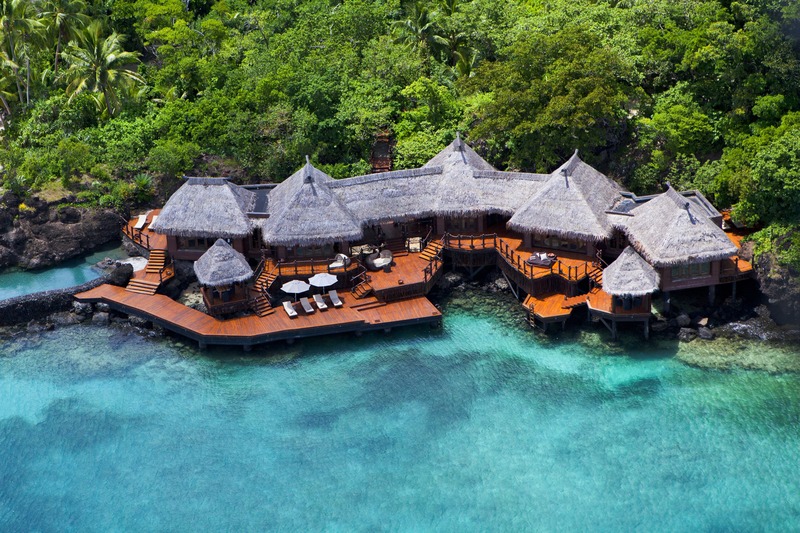 One of the latest resorts that made its Fijian debut is the Six Senses, which is located on a private bay on Malolo Island in the Mamanucas. Its beach-fronting architecture is both mesmerising and therapeutic – the perfect escape that you need to have a quiet moment to rejuvenate your mind, body and soul. While it is best to enjoy Fiji on foot, it is also highly recommended to take a helicopter tour for a breathtaking bird’s eye view. Enjoy the string of islets that stretches for miles — from Monuriki, the island Tom Hanks made famous in Castaway to the Vitu Levu, Fiji’s largest isle. If you’re planning a trip to Fiji, avoid going from November to April – you don’t want to be stuck in the tropical storms. Choose an all-inclusive option if you’re heading there in a big group but a private luxury resort sets the best romantic setting for two. 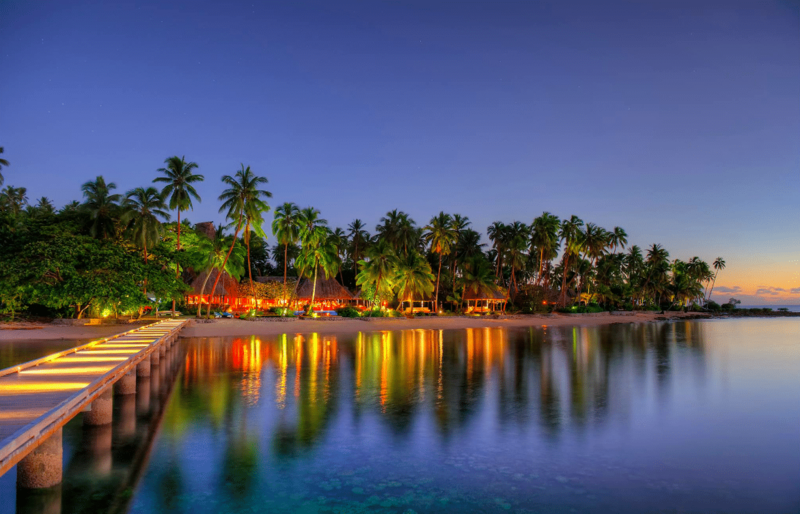 Think of this list of the best luxury resorts in Fiji as a starting point for your dream vacation in the exotic island. Kokomo Private Island Resort spreads across a 56-hectare tropical island and is home to the Great Astrolabe Reef, the world’s fourth largest barrier reef that stretches over 100km. The resort comes with five hilltop residences with three to six bedrooms for large groups and family vacations. If you’re looking for a romantic getaway on this remote island, Kokomo boasts 21 beachfront villas overlooking the sheer beauty of the South Pacific Islands. 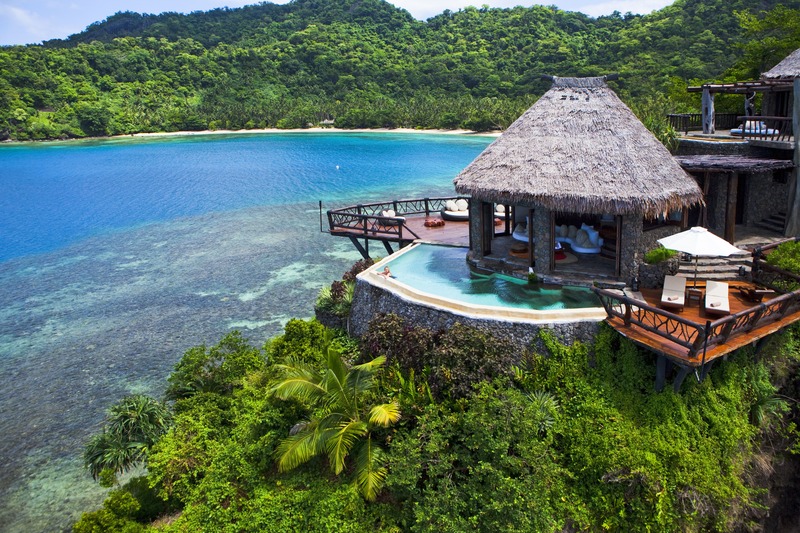 Laucala brings together the dramatic rainforest-laced landscapes and white sandy beaches into its architecture with unparalleled privacy. Dotted around this exclusive tropical hideaway are 25 Fijian-styled villas overlooking coconut plantations, beaches and the island’s volcanic mountains. Natural fibres and woods are used in its architecture to create a sustainable design approach and a genuine insight into Fijian culture. Laucala has also established a number of organic farms and gardens producing vegetables, herbs, fruit and poultry for the in-house restaurants as well as flowers and spices for the spa. Likuliku, which means “calm waters” sits in a picturesque bay on the leeward side of Malolo Island. The resort boasts Fiji’s only over-water bungalows, offering majestic ocean views with glass-floor panels revealing marine life below. There are 35 beachfront villas with direct seaside access for watersports and snorkelling excursions – and each comes with spacious cabanas, sunbeds, contemporary interiors, outdoor showers and manicured courtyards. The five-star Royal Davui Island features 16 exclusive villas perched atop a rocky hillside with breathtaking island views. The tropical architecture brings you closer to nature – especially when its dining area is located under the resort’s 400-year-old banyan tree. Rooms come with spa baths, retractable roofs for stargazing, sun decks with plunge pool and luxurious four-poster beds. Visitors can also enjoy various local activities like village visits, waterfall hiking trails and some of Fiji’s best snorkelling. 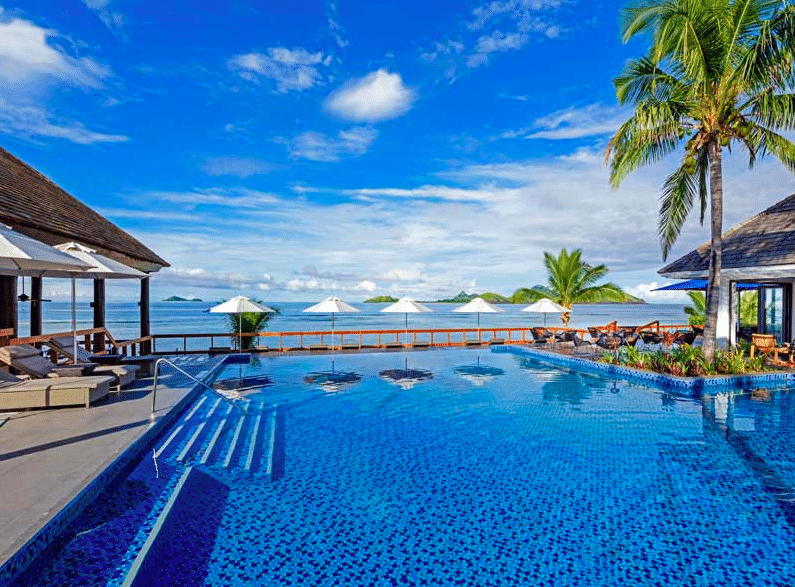 Tokoriki is Sheraton’s second Fijian resort located in the south-western corner of the island – taking over the former location of Amanuca Island Resort. 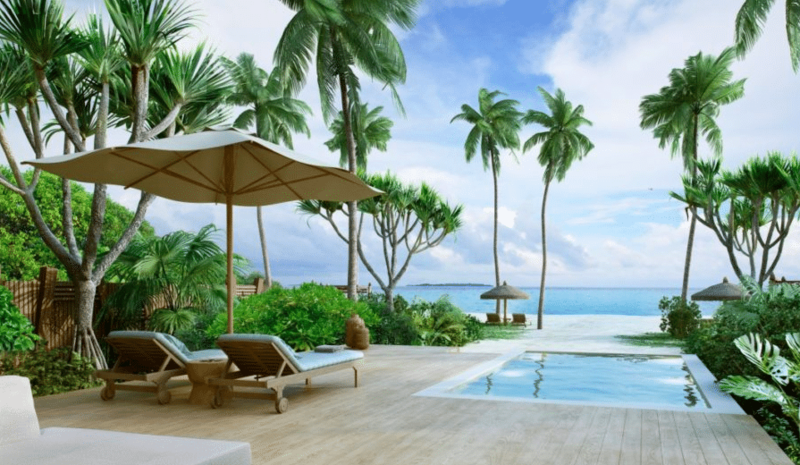 The resort features 101 guestrooms and suites, including 30 swanky Tokoriki retreats with private plunge pools. If you’re up for some Indo-Fijian cuisine, Sri Lankan chef and restaurateur, Peter Kuruvita brings his signature brand, Flying Fish to the Sheraton Tokoriki. There is a unique charm that this boutique five-star resort has to offer. 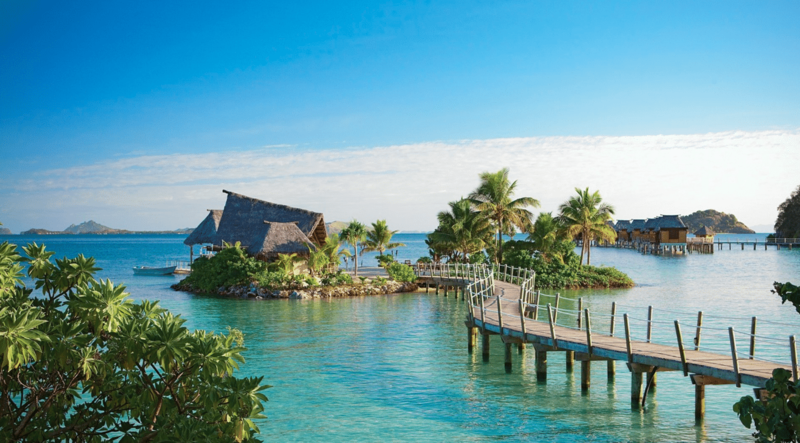 Its location on a former coconut plantation combined with an on-site marine centre makes the Jean-Michel Cousteau Fiji Islands Resort a top choice for family getaways. 25 newly renovated villas sit on a beautiful beach with a bar, daybeds, hammocks and spa huts offering Fijian massage treatments. At night, guests will enjoy a lantern-lit alfresco dining experience by the ocean. 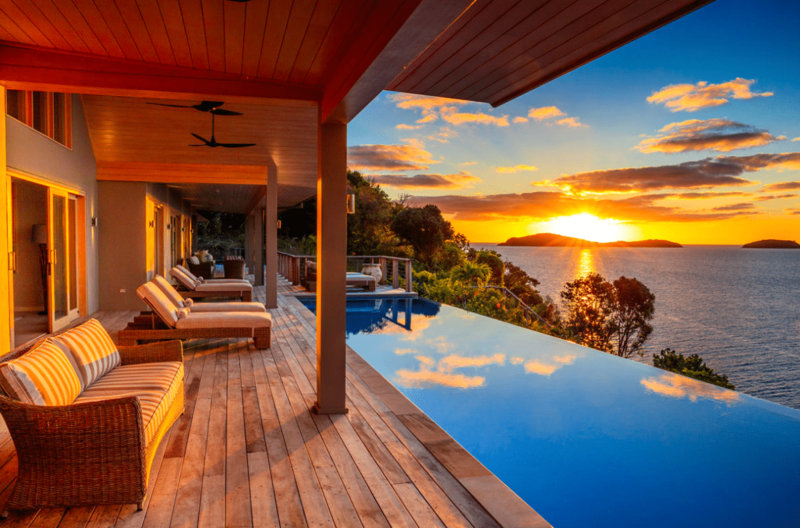 Six Senses made its Fijian debut last year with 60 private residences and 26 tropical villas set on a private bay on Malolo Island in the Mamanucas. Visitors are instantly transported to a peaceful sanctuary amidst the swaying trees, expansive sandy beaches as well as glorious views of the sunrise and sunset. Find a spot in the poolside cabana to relax and unwind or soak in the sun for some tanning. Six Senses also offers integrated wellness programmes comprising spa treatments, exercise activities, yoga meditation, diet plans, sleep tips and more.